Greetings from Jen Gentleman, Eric Papamarcos, and Rick Duncan of the Shell team. If you’ve been following the updates we’ve made to the Start menu in Windows 10 Insider Preview Builds in 19H1 (and from the feedback we’ve received, it’s clear that a lot of Insiders have been doing just that), you’ll know that we’ve made some significant changes since the last Windows release. Today, we’d like to share some details of that journey—and how Insiders have helped us along the way. One of the first things we did with Start in 19H1 was to build on the usability improvements we introduced in earlier versions of Windows (Check out our last Inspired by Insiders article for details). This all began with a popular request from Insiders: expand the ability to remove pre-installed apps from Start. In 19H1, we more than doubled the number of pre-installed apps that can be removed. 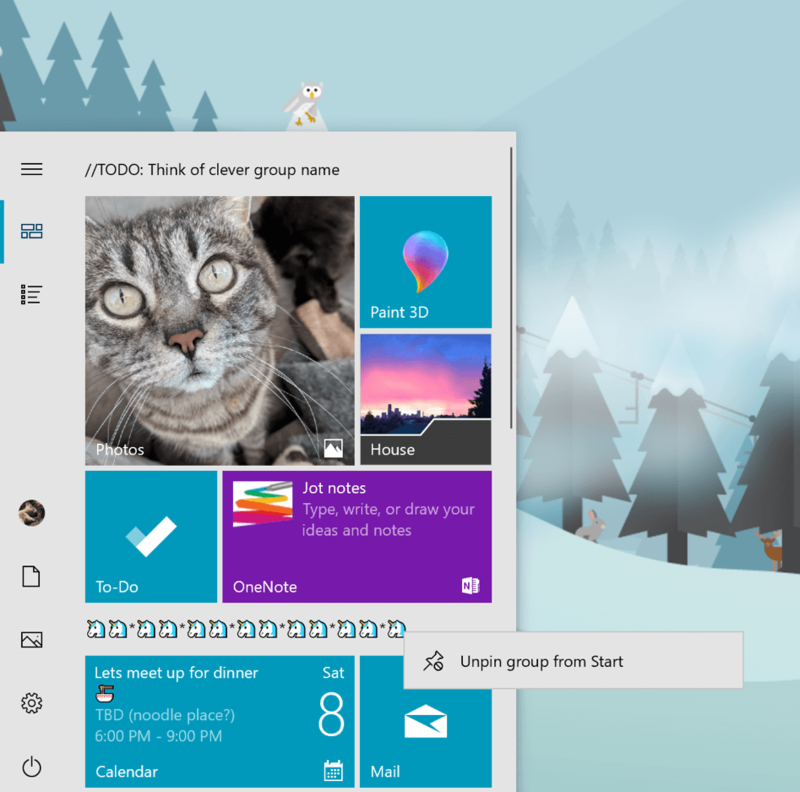 Next up, we introduced a new way to easily unpin a folder or group of tiles. Managing multiple tiles has been one of the most upvoted requests from Insiders for Start, and these unpin options help you configure your tiles even faster. We initially rolled out to a test group of Insiders before making it available to all Insiders in the Fast ring. We also introduced a simplified default Start layout for new devices, new user accounts, and clean installs (check out the layout at the top of this article). This provided users with a sleek, one-column design and reduced top-level tiles. Coupled with the earlier updates, users not only got a cleaner design on day one but also got features to keep it that way, quickly and easily. And we weren’t done, yet. We also added a little Fluent Design polish to the left navigation pane in Start where the power button lives and rolled it out as another experiment with Insiders. The experiment automatically expanded the left navigation pane on mouse hover to reveal button labels, making it easier to identify the different functionality in this pane like the Documents and Pictures folders. The feedback from Insiders was incredibly valuable, and on devices with labels, we saw an increased use of these functions. We’re now planning a larger roll out of this experiment to a retail audience to gather more feedback. Hover your mouse over the navigation pane to reveal button labels. Finally, we experimented with showing an orange indicator on the power button when the device has an update requiring reboot (including new builds we release). We found that about 25% more Insiders who saw the indicator used this option to update their devices, so we decided to roll out the experience to all users. The power button gets an orange indicator to signal a reboot required. As we moved through 19H1, Insiders also provided us with valuable feedback on performance issues that cropped up with certain Insiders Preview builds. 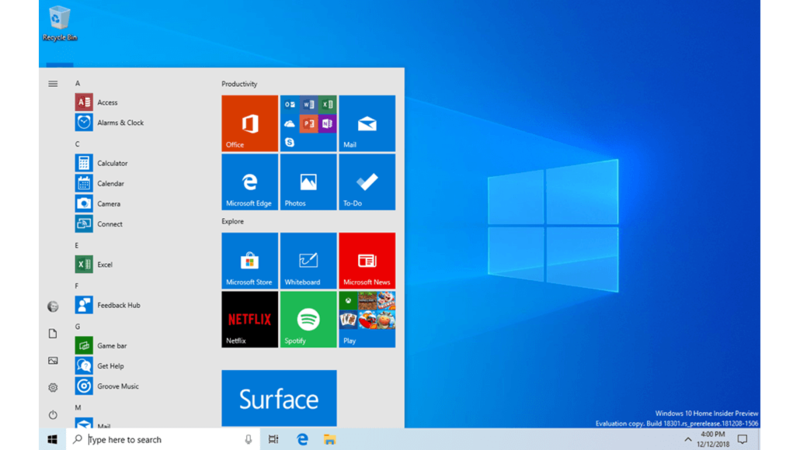 We were able to quickly address these issues (like delays in launching some Win32 apps) with subsequent builds, but we also introduced an update that would have an even deeper impact on overall reliability: we created a separate app for the Start menu experience in Windows. Up until then, Start was part of the broader Shell experience. Moving Start into its own app, while of course still feeling integrated into the Shell, provided users with several benefits. By insulating Start from potential issues impacting other surfaces, Insiders saw measurable improvements in Start reliability. With the new app in place, Start was opening significantly faster. Even better, because Start is such a big part of the overall Windows experience for most users, we saw these reliability improvements contributing to performance improvements for the entire OS. 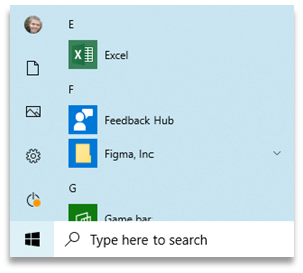 As we plan for the next release of Windows, we’ll continue to keep a close eye on Insider feedback to help refine and improve our Start menu experience. Thanks for joining us on this exciting path forward!